recommended for: Fans of Silver Linings Playbook (obviously), It's Kind of a Funny Story by Ned Vizzini, Looking for Alaska by John Green, or other strangely uplifting dark, quirky half-comedies. will i read this author again? : Yes yes yes. Already have Silver Linings Playbook waiting on my shelf. will i continue the series? : N/A, as it should be. Leonard Peacock is a boy as strange as his name. He follows business people and pretends to be an adult for a day. His best friend is an elderly chain-smoker; they communicate exclusively in Bogart quotes. He's brilliant and failing at school. And today, on his eighteenth birthday, he's going to kill his ex-best friend, and then himself. Leonard's story is a darkly funny, frequently painful account of a person too oddly shaped to fit into society's box. Of what it means to be broken, and resurrected. Leonard himself is endearingly messed up. He's the downward spiral you want to hold until it stops spinning. In language both beautiful and biting, Quick navigates Leonard's final day and its string of failed connections: Bogie-style goodbyes, rows with teachers, a short-lived tryst with a Christian fundamentalist. And you can't help but rooting for Leonard, well-meaning screw-up that he is. Interspersed with Leonard's own letters to himself from the future, Forgive Me, Leonard Peacock is a bittersweet novel about the pain of being the ultimate outsider, and the ever daunting search for meaning. It's funny, clever, and effortlessly insightful--a modern classic. Quick's plot is a sprawling ramble, the dalliances of one day set in sharp relief against their historical precedents and their future hopes. As Leonard navigates his final day on Earth, he revisits the memories that led him to this final solution. The rejection from his classmates, his teachers, his mother. The people who called him useless and perverted. His screwed-up approach to love and belonging. Slipped between are letters from his future wife and daughter, letters envisioning a glorious life in post-apocalyptic America. Letters from future people who love him. The effect is a tightrope walk, Leonard teetering between despair and hope. His last day is a microcosm of what brought him here. He visits his old neighbor Walt for the last time. His wealthy absentee mother forgets his birthday. He encounters his ex-best friend Asher, whose dark secrets ruined a part of Leonard's soul. He struggles to do one last important thing by giving gifts to those he loves, only to be rebuffed and rejected. Each encounter seems to be a last, desperate effort at making a connection; each failure is another isolating blow that leads him to the crux of his plan: himself, outside Asher's house, with his grandfather's Nazi war pistol against his temple. It's not a plot with great mysteries or hugely important events. It's a slice of a withering life, raw and deeply human. Quick's choice to index an individual's final day on Earth isn't new. The way he approaches it, however, turns the tried and true tale into something fresh and insightful, a modern dissertation on the loneliness of being different. Leonard is a boy who doesn't fit in the world. His brilliance, verging on arrogance, holds him apart from the "ubermorons" at his school. His closest friends are people held at arm's length--the neighbor he speaks to in movie quotes, the Iranian boy he silently observes playing the violin, the teacher he quietly worships. Ill-equipped, he makes bids for connection in the strangest ways, and is inevitably disappointed. Quick's somewhat over-the-top, quirky presentation makes Leonard instantly recognizable and memorable, and somehow more real than if he'd been mundane. The interweaving of Holocaust stories and imagery is a comment on the persecution of the different that could easily be ham-handed, but is safely poignant in Quick's capable hands. This book is filled with caricatures and grotesques, exaggerations that are somehow instantly believable and recognizable. Leonard is, I'd imagine, a challenging person for many readers to love. He's strange, frequently abrasive, often judgmental, sometimes overbearing. He's also soft, caring, lonely, and heartbreakingly well-meaning. (And he reminds me awfully of Finch, though I read Leonard first.) He's ringed by a cast of beautifully crafted players. There's Herr Silverman, the brilliant, enigmatic Holocaust instructor who sees Leonard's potential. Linda, Leonard's mother, the woman who wants to be Mom but never wanted children as much as a career. Walt, the gruff Bogart enthusiast. Lauren, street-side purveyor of Bible tracts, who sees Leonard as a thing to save but also a tempting and dangerous source of corruption. Babak, the virtuoso and skeptic, who challenges Leonard's views of the world. Asher, Leonard's nemesis, cruel but secretly shattered. And so many more. What becomes clear across the novel is that Leonard has been holding himself apart. He feels unknown by these people, to the point of lashing out, but the reader begins to see that Leonard has made himself unknowable. As he attempts to leave part of himself behind, we, and Leonard, observe new facets of these familiar faces. Imagine that an isolated, intelligent, cynical-but-inwardly-hopeful teenage boy wrote a story about himself. You now have Forgive Me, Leonard Peacock. Quick masterfully portrays Leonard's voice in a way that feels authentically adolescent while also feeling poignant and polished. Much of it reads like the undecorative inner monologue of a typical boy, but there are moments of raw insight that make this narrative something more. Don't expect anything fancy. This isn't the poetic meandering loveliness you'd expect. Like John Green or David Foster Wallace, it's a simple, unadorned style that punches at the right times. Dry, witty, and lingering. The comparison to David Foster Wallace is, on some level (I think), apt, but also intentional. One of Quick's devices is straight out of Infinite Jest: footnotes. You don't have to flip to the back, like in DFW, and they're not as numerous, but they're there, and used well. Some of the footnotes are short, quick asides. Others are quite long, miniature stories in themselves. The structure mirrors Leonard's way of thinking about the world, his fragmented observations. It also calls attention to some of his more breathtaking thoughts, ones that would seem heavy-handed in the text but somehow shine when set just a little apart. And they aren't so long or opaque as to annoy your average reader. 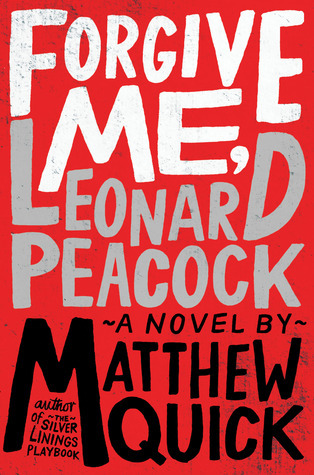 Forgive Me, Leonard Peacock is a masterpiece of black comedy, a cynical, hopeful narrative of a teenager disconnected from the world. His campaign to leave an impression on his last day alive is alternatively full of dry jokes, moments of sweetness, and surprising insight. I too was very very impressed by this book. It's not a story that hasn't been told before but the way it was told was completely new and that was one of the best things about it. The emotions really came through and that push and pull Leonard went through. I loved it! Yes, such a great point! The emotions were really clear in this one. It really felt like being inside Leonard's head, and his perspective felt unique. It wasn't just a bunch of tired variations on the same theme. Ah! So many books, so little time. 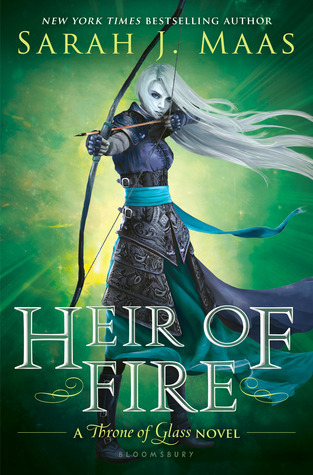 This looks really good, and just my kind of book. Thanks for the recommendation--great review! I recommend making time for this one--although, I'm a bit biased. ;) Thanks! I hope you end up enjoying it.